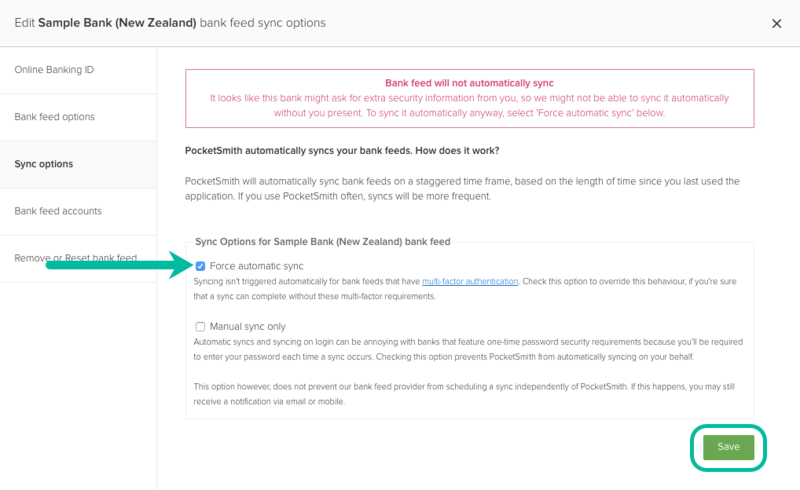 PocketSmith automatically syncs your bank feed by default, however, you can manually trigger a sync of your bank feeds at any time. You can also turn off the automatic sync setting so that your bank feed only syncs when manually triggered. Learn about these sync options below! The bank feed sync may not start immediately - if other account types are already being synced, the most recent sync will be queued until the others are complete. For bank feeds showing errors, we recommend that you try a couple of refresh sync attempts. If the problems persist, please get in touch and we'll investigate the issue further! 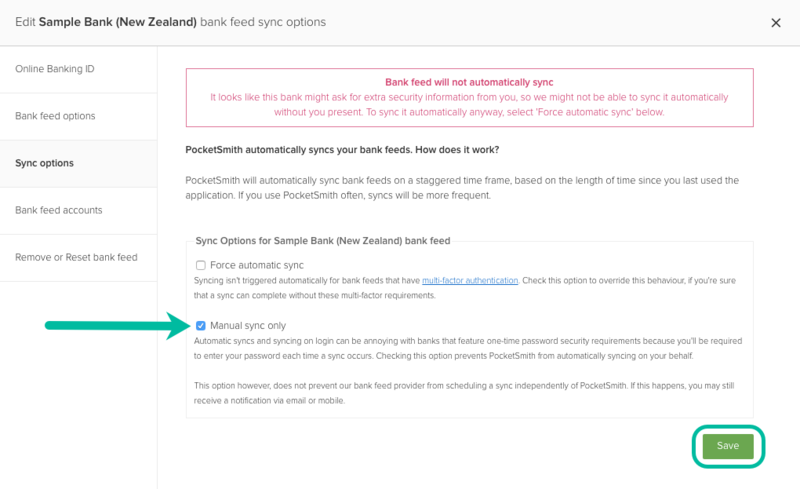 You may want to turn off PocketSmith's automatic bank feed sync setting. For example: If you have a bank feed that requests a One Time Password (OTP) each time you log in, you can change the settings for this bank feed so that the feed will only sync when you trigger it, preventing repetitive OTP requests. This setting only affects syncs that are performed from within PocketSmith. Changing this setting will not prevent Yodlee from performing their scheduled daily syncs on your bank feeds. If you have enabled SMS or email alerts for your online banking logins, you will also receive these messages when your bank feed syncs. This is because PocketSmith can sync your bank feed while you are not logged into PocketSmith, it is possible you will receive these messages when you are not logged in to your PocketSmith account. You may like to consider disabling text alerts on your bank website as these can be sent very early in the morning depending on your time zone!